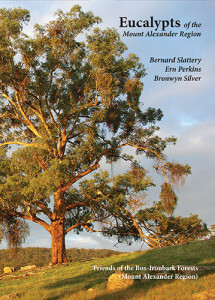 Eucalypts of the Mount Alexander Region by Bernard Slattery, Ern Perkins and Bronwyn Silver is a great new resource. 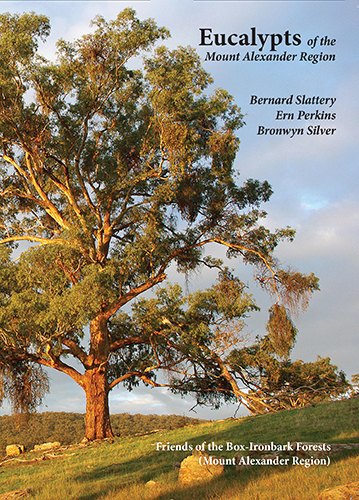 This 90 page guide aims to help the beginner train the eye to see the differences between eucalypts. It shows the commonest species of the Mount Alexander Region but describes species common to the whole Box-Ironbark region so is useful in a wider area. Sections on major species include drawings of buds, fruit, juvenile leaves and adult leaves by Leon Costermans.